We haven't had much playtime with the current crop of DDR memory modules available at this moment. However, since changes are being made here at GT, I thought a change in our test system might as well be made. So initially, I was graciously 'donated' a MSI neo2 fis2r 865E Springdale motherboard and a P4 3.0C. Nice gear, but I was without some high performance ram to compliment that combo. 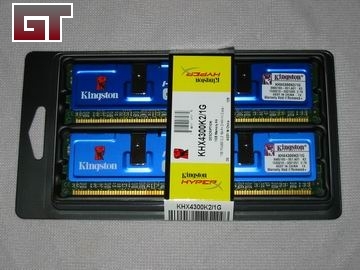 So Kingston was kind enough to send over their HyperX PC4300 (DDR533) 2X512 DDR package. Let's see what this dual channeling combo can do. The 2.4B was usefull, it managed to function at a 12X multiplier up to about 210FSB before it decided to quit. 210FSB just wasn't good enough for this ram either. So, I had a 2.4C sent over, which is stock at 200FSB with a huge overhead for overclocking fun. 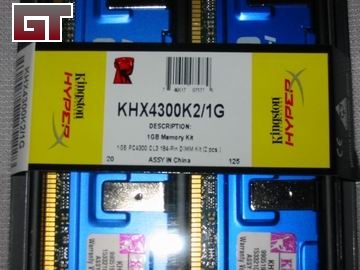 "Kingston HyperX memory is designed based on the latest DDR specifications available, and is 100% tested at Kingston's flagship factories. Plus, these Kingston modules come with the standard Kingston lifetime warranty and toll-free Tech Support. Built with the best-quality components, Kingston HyperX is competitively priced and is the choice for the serious gamer. Kingston's HyperX kits are designed and tested to meet dual channel architecture requirements such as those found on chipsets and motherboards like nVidia's nforce2, and Intel's� Canterwood and Springdale." With the start of DDR2 coming around the corner, manufacturers are getting the most they can out of DDR. 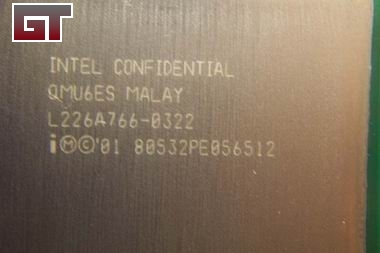 An example would be the sample we have today, rated at PC4300, or DDR533. These specs are not fully supported, however, testing done by Kingston have labeled these usable at these speeds. But how exactly would you achieve DDR533? Simple, overclock like mad. If you are running a 800FSB, dual channel P4 motherboard, chances are you have the ability to choose FSB:DRAM ratios. Most of the time, they're just numbers like 1:1, 5:4 and so on. What you really want if you are all about performance and getting the most out of your investment, is running 1:1. At a 1:1 ratio, it means at 200FSB (stock P4) you are running DDR400 (2X200). As you increase your FSB, your memory speed increase also. This is the ideal setup that you want to achieve. At 5:4, you are running DDR320 (200X4/5(X2)). Notice the huge chunk taken out from running 5:4 as opposed to 1:1? That can definitely hurt.